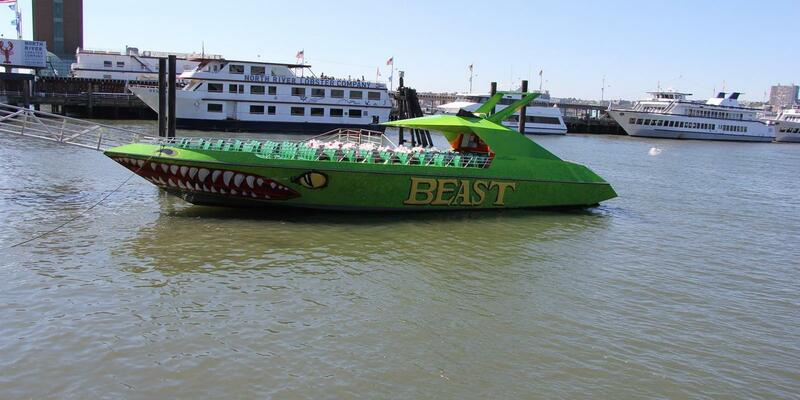 Hold onto your hats and get ready for the ride of your life aboard The Beast Speedboat ride! Fast, loud, and funny, the Beast delivers spectacular views and pumping music. This New York trip is a rollercoaster and a water ride in one, all in 30 fun-filled minutes of high-speed cruising! You’ll be the fastest on Hudson as you zip by the other ships. The Beast rides are available from may onwards annually. When may comes around, 138 passengers will be reminded to “Hang on!”. This jet-powered racing boat accelerates from 0 to more than 70 km/hour in a matter of seconds. 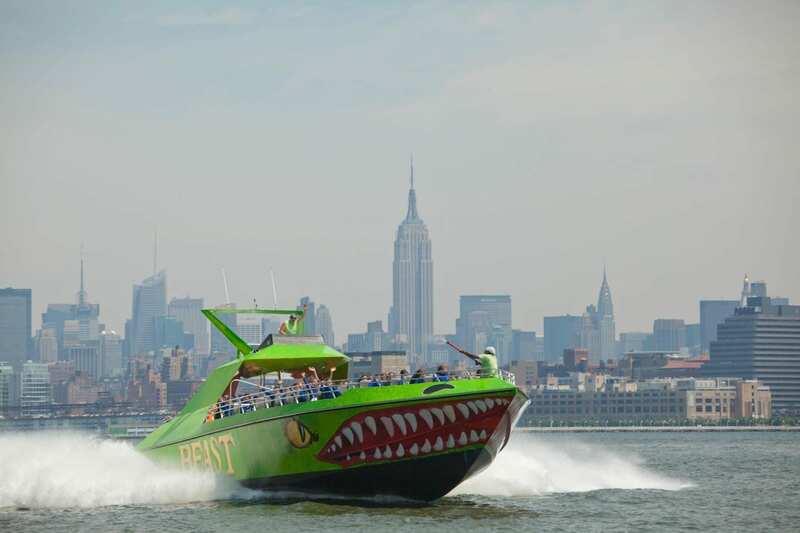 Your captains, Mad Dog and Wild Thing, take you on an exciting, adrenaline fueled ride across the New York Harbor. “The Beast” will also make a quick stop at the Statue of Liberty for a close-up photo opportunity. This might be the fastest way to get a close-up to Miss Liberty. Get your adrenaline fix here – guaranteed! This exciting adventure has the New York skyline as backdrop and is an absolute thrill to take part in! When it’s warm in New York City (The Beast does not ride in the rain) this is the best thing you can do for a refreshing switch up from the heat of the city. 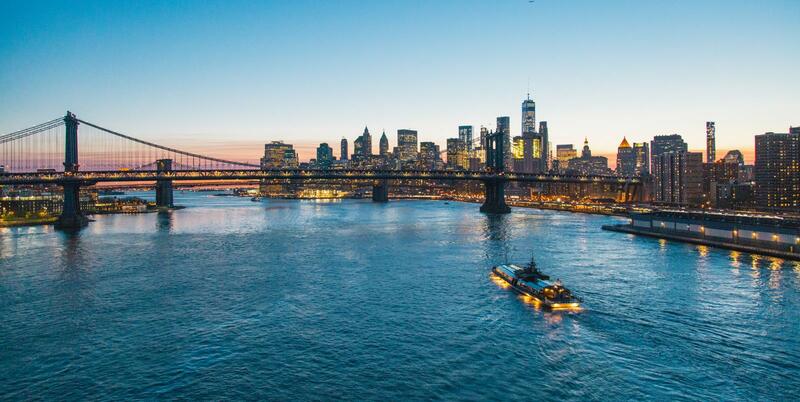 Besides the amazing view of Manhattan skyline, you’ll see famous Brooklyn Bridge, New Jersey Skyline and lower Manhattan. Please note your children have to be at least 1 meter in height to board. Every hour from 10am till 6pm or sundown. Only flex tickets are available, meaning that times are on a first come first serve basis. Where to we get on board? Departures & Arrivals are at Pier 83 West 42nd Street & 12th Avenue. It’s a walking distance from Times Square. You can book your seats in advance and bring your tickets to the pier. 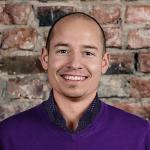 There is one additional advantage: the tour operator often offers additional discounts when booking online!